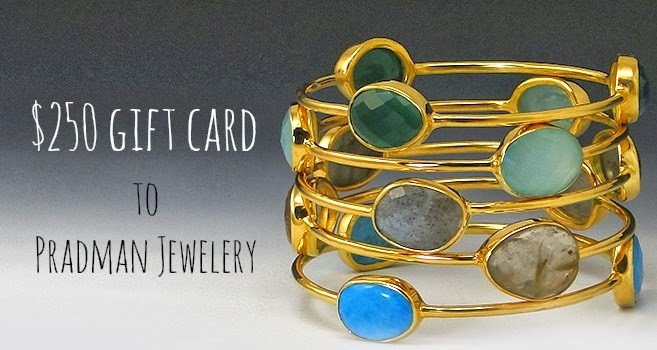 Today I'm teaming up with some other bloggers to give you a $250 gift card to Pradman Jewelry. They have stunning products; everything is just amazing! Pradman Jewelry is seen worn by Kourtney Kardashian and countless fashion icons and bloggers! You will seriously fall head over heels for every piece of jewel they have waiting for you! If you ladies don't want to wait for the giveaway to be over so that you can shop, Sean from Pradman Jewelry was kind enough to give PBK Readers a 20% off ANYTHING you want on the site using promo code: PD20OFF! .......So ladies since Valentine is just around the corner, I would just send your special someone over and take advantage of the occasion and use that promo code!!! So fun! Their jewelry looks amazing!